Rosalie worked at LaSalle Insurance Company and Valley View Middle School before retiring from MZ II. 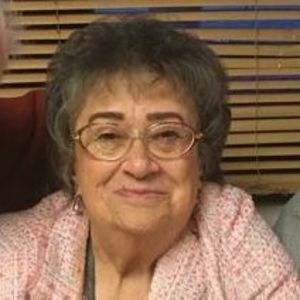 She was an avid sports fan and loved to cheer on her favorite teams: the Chicago White Sox and Bears. In her free time, Rosalie enjoyed playing Bunko, bowling, and crossword puzzles. Most of all, she loved being around others. Her favorite times were those spent with her friends and family, talking, laughing, and sharing stories and moments together. Rosalie adored being a part of her grandchildren's lives. She made sure to attend all of their school events and delighted in all their achievements. She is survived by her loving husband of 50 years, Brian; dear son: Andrew (Dawn) Hancock; and cherished grandchildren: Taylor and Nathan. She is further survived by her siblings: Susan (Michael) Anderson and Michael Kroll. In addition to her parents, Michael and Wanda Kroll, she was preceded in death by her son, David Hancock, and sister, Sandy Keith. Visitation will be held on Sunday, April 14, from 4pm until 7pm and will continue Monday, April 15, from 10am until the time of Funeral Service at 11am, at Colonial Funeral Home, 591 Ridgeview Drive, McHenry. Interment will follow at Christ the King Catholic Cemetery, Wonder Lake. In lieu of flowers, memorials in Rosalie's name may be made to the American Cancer Society, 1801 S. Meyers Road Ste. 100, Oakbrook Terrace, IL 60181. For more information, visit www.colonialmchenry.com or call 815-385-0063. Add your thoughts, prayers or a condolence to Rosalie's guestbook.